Hey, you! How old is your website? A year or two, a few years, several? Is it responsive? 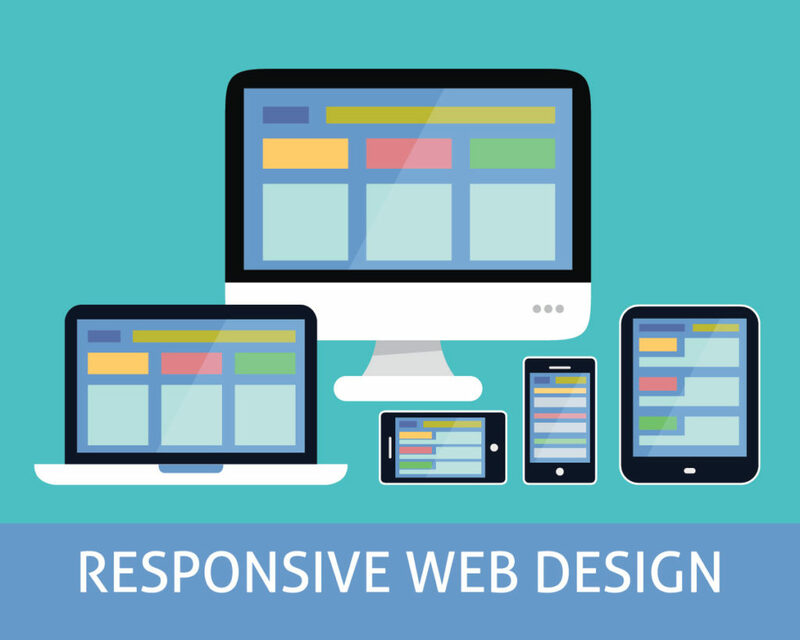 Do you know what a responsive website is? It’s cool, most people don’t—it happens on the back end. But responsive design is becoming increasingly important for new websites, and you should probably make sure yours is. Responsive, that is. This is pretty important for a few reasons. We won’t throw specific statistics at you, because they’ll change again tomorrow. But it’s safe to say, well over half of adult Americans own a smartphone (or three), and well over half of all web traffic comes from said smartphones. If your website isn’t designed to be mobile-friendly (and if it’s a few years old, it probably isn’t), you risk losing those potential clients. Seriously…would you want to do business with someone whose site you can’t even read? Not only does a responsive design make your website prettier and more user-friendly, it also keeps things consistent across devices and platforms. For a while, it was popular to have a regular website and a mobile-only site. Two separate websites. Two places to have to make updates. Two URLs where the content may or may not be the same. In fact, often a mobile-only site will have less information or fewer options than the normal site…which means a frustrating time of it for the user, if they were expecting a similar experience from device to device. Responsive website=one site, one URL, one place to add/subtract/make updates to content…more fun for user, less work for you. Oh and then there’s Google. We could (and probably will) write a whole article on SEO. But the very bare bones of it is this: Google likes responsive sites. They’re more user-friendly, so they will appear higher in Google search results. Like it or hate it, Google rules us all. If you hadn’t already sussed it out, we do responsive web design! We want to make your website pretty and user-friendly across all those devices. Mostly because we also use our phones to browse the web, and your responsive site is one less frustratingly tiny thing we have to strain our eyeballs over. And no need to fret—it’s not as painful (or expensive) as it may seem to get you nice and responsive. Sometimes all it takes is a few tweaks.